Layering under rugs – Yes! 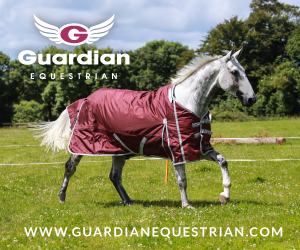 We have clever inside straps you can slide any weight or brand of stable/fleece/turnout rugs underneath our rugs, and still get 100% effect from the fence – so your horse will be super warm, and remain exactly where they should be, safe behind the fence! Layering under neck covers – Unfortunately no, our neck covers need to always be in direct contact with the horse, so you can’t layer up underneath our neck covers. Anti-rub type vest are fine as the fabric is so thin it won’t affect the performance of our fabrics.